INEC Budget: Don’t play politics with 2019 elections, CSO cautions – Royal Times of Nigeria. Centre for Social Justice, a Civil Society Organisation, has cautioned the executive and legislative arms of government against playing politics with the 2019 election budget. Mr Eze Onyekpere, Lead Director of CSJ said this in an interview with the News Agency of Nigeria, on Wednesday in Abuja. He said that the 2019 general elections were too important to the nation’s existence to be toyed with in the name of seeking approval for election budget. “The elections in 2019 are too precious to be tied to this game of musical chairs between the two arms of government. “The President should have presented the Independent National Electoral Commission’s budget to the National Assembly early in the first quarter of the year. “However, considering that it is coming late and the poor relations between the executive and legislature, the president should not have asked for virement. He, however, said that NASS was not bound to approve the request as presented, adding that even if it did, it may direct that the money be derived from another source. NAN recalls that President Muhammadu Buhari had requested Senate’s approval of N242.45 billion for the 2019 General Elections. Part of the funds, according to his request, will be given to the Department of State Services (DSS), and other security agencies for the same purpose. The request was contained in a letter dated July 11, which was personally signed by Buhari and addressed to the Senate President Bukola Saraki. Buhari requested that out of the needed figure, N164.10 billion should be provided through virement or supplementation of the 2018 Budget. Specifically, the president requested that N164.10 billion of the total funds proposed for the elections should be funded from the N578.31 billion inserted in the 2018 Budget by NASS. There have been concerns by various groups, individuals and election monitors that the amount proposed for the general elections was too much for the exercise. Some others are of the opinion that the delay in the passage of the election budget could jeopardise adequate preparations for the poll. 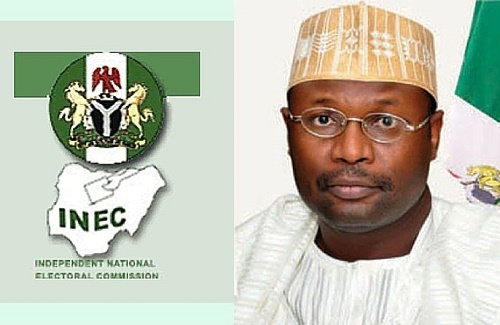 NAN also recalls that INEC Chairman, Prof. Mahmood Yakubu, however, said that the 2019 general elections would not be postponed because of the delay in the passage of its budget. According to him, there is no provision under the law for postponement of elections.